Mobile Recharge MLM Software | Mobile Recharge Multilevel Marketing Software | MLM Software - iSHA Technology. Retailer/Distributor/User can top-up any Mobile (Pre-Paid n Post-Paid), DTH, Data Card Recharge, Utility Bill Payment(Electricity, Gas, Insurance, Water) and earn high commission benefit on each Recharge. Free API and Paid API for Mobile, DTH, Data Card, Utility Bill Payment (Electricity, Gas, Insurance, Water) and Travel API (Air Ticket/Flight Booking, Hotel Booking). You can save time and get rid of the hassle to remember so many user id and passwords of each service provider like Airtel, Vodafone, Idea etc. One user ID for all the Recharge and Bill Payment. It comes with the creative mobile computing solution through which user can recharge with the mobile devices. iSHA Mobile Recharge is embedded with simple interface of online desktop recharge and mobile device recharge..
You can access iSHA Mobile Recharge on any Portable Device like Mobile, Tabs etc. No Extra/Hidden Cost /Post Billing, You only pay MRP. iSHA Mobile Recharge Free Services are categorized in three Categories. iSHA Mobile Recharge offers his Partners the facility of Online Recharge, Single SIM Recharge and Mobile App(Android, iOS, Windows, Java and BlackBerry App). Partners will get the Commission/Profit/Share on the every Recharge.Partners can also set up their own POS (Point of Sale) via Single SIM Recharge Service. We have a special Recharge and Bill Payment option for the Partner's and Offices(Corporate, SME Etc.) where they can do Bulk Recharge of their employees or bill payments on a single go. User can Earn Points on every recharge he will spend, redeem your point whenever you want.Get new Coupons and Offers exclusively for you. Single SIM Recharge solution facilitate the Partnerto use any SIM/Service Provider/Operator with SMS sending facility for Recharge and Bill Payment,irrespective of any Service Provider/Operator like Airtel, Vodafone, Electricity, Gas, etc. 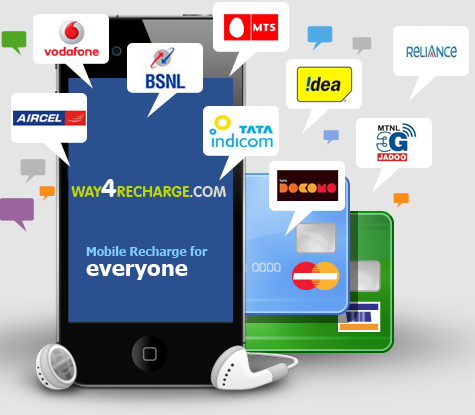 User can recharge and pay bills of any service provider. We are providing free API for lifetime, there is no extra or hidden charge for the Companies, Business Owners and Aggregators for the integration with their application. iSHA Mobile Recharge is integrated with powerful API which is used for the recharging as well as Bill Payment. iSHA Mobile Recharge API is robust and get regular updated in terms of more providers and to offer better services. XML, HTTP or JSON supported. Partners will get the Commission/Profit/Share on the every Recharge. iSHA Mobile Recharge is also offering the Mobile App for Use and Development. User can use the iSHA Mobile Recharge Android App,iOS App, Windows App, Java App and BlackBerry App Platform. iSHA Mobile Recharge is also Offering the development of recharge software for the client as per there need, B2B or B2C Website. SMS, Long-Code (VMN), Short Code, Server Space, Payment Gateway… iSHA Mobile Recharge has extend services list to offer apart from recharge. These are not the mandatory services for the start the recharge business but will help in giving better experience to User. Transactional SMS, Long-Code (VMN), Short Code, Server Space, Payment Gateway.